Russia has supplied 10,000 tons of fuel to Afghanistan to help stable the oil prices in Afghanistan. The contract for oil supply of 500,000 tons of fuel to Afghanistan was signed between the two countries last year, in a bid to bring down the prices. 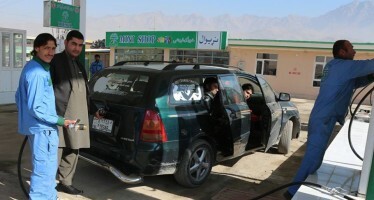 As per the agreement, Russia sells each barrel of fuel to Afghanistan seven dollars less than the international prices. A second round of fuel supply would be in 20 days amid fuel shortages and its skyrocketing prices.